Living Wealth is comprised of a group of like-minded individuals who are not only highly knowledgeable and experienced within their respective fields, but passionate about assisting professional organisations to achieve the ultimate vision of Zero Ecological Footprint. 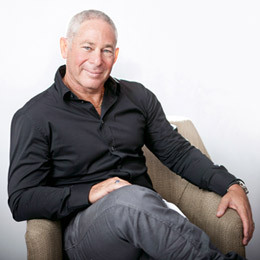 Ivan Ginsberg is the Managing Director of Living Wealth and is responsible for implementing the strategic direction of the organisation, as well as managing all Sales & Marketing and Financial requirements. Ivan has achieved a diploma within Sales and Marketing, as well as Financial Advising. He gained 10 years experience within large-scale furniture manufacturing, which provided an extensive understanding of budgets, production systems and people communication at all levels. In 1990 Ivan joined the Financial Services Industry as a Financial Advisor for a leading insurance provider and in 2004 launched his own Financial Services Consultancy – Ginsberg Financial Services. Ivan has attained numerous awards throughout his career which attest to his dedication to service excellence and his knowledge of the Financial Services Industry. Before the launch of Living Wealth in June 2008, Ivan had been active in the development of what has culminated as the revolutionary service Living Wealth now offers. His initial intention was to assist clients to achieve the two fold benefits of Zero Ecological Footprint and Sustained Profitable Business Efficiency. His experience within manufacturing processes, product development, the motivation of staff (at all levels within an organisation), management of complex budgets, as well as the development of financial solutions for a diverse range of organisational and individual client needs, has endowed Ivan with the depth of experience required to add significant value to the development of internal processes; and the continued success of Living Wealth in providing articulate and customised solutions to client needs. 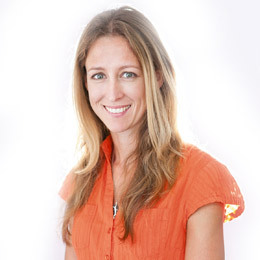 Robyn Ferrar is responsible for integrating our sustainability approach into our clients' businesses. This includes the management of all requirements pertaining to client assessments, defining service scope and required measurements, the implementation and on-going monitoring of strategies, as well as the compilation and submission of reports and providing client support services.